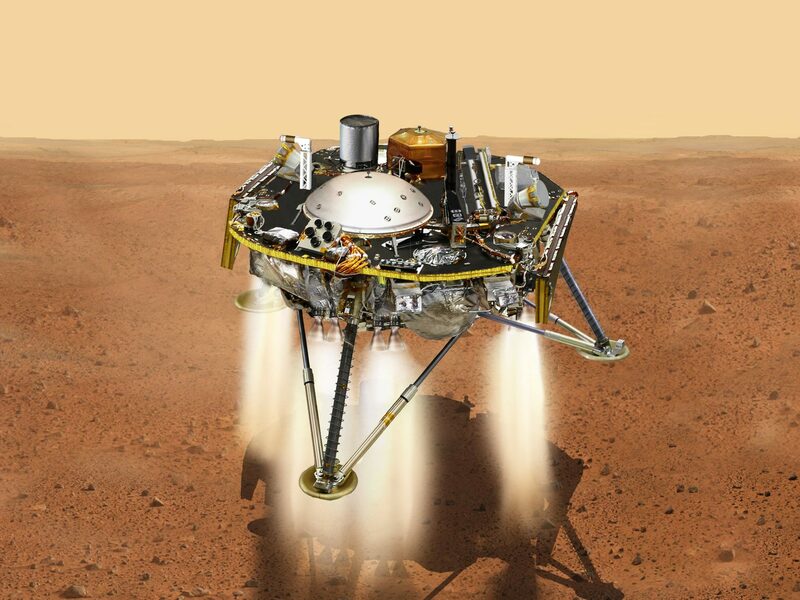 NASA’s InSight Spacecraft Successfully Lands on Mars - VPT, Inc.
November 27, 2018 – NASA has made another successful landing on Mars after their InSight lander reached the planet’s surface after travelling for more than six months and 300 million miles. The Lander was launched on May 5, 2018 from Vandenberg Air Force Base, and officially touched down near Mars’ equator in an area known as Elysium Planitia on November 26, 2018. This marks the eight time NASA has landed on Mars. InSight, an acronym for Interior Exploration using Seismic Investigations, Geodesy, and Heat Transport, is on a first-of-its-kind mission to investigate Mars’ interior. It’s equipped with a heat probe (HP3) which will measure heat transfer, as well as a seismometer (SEIS) to detect and measure ground movements. InSight’s objective is to learn how rocky-surfaced terrestrial planets like Mars, Venus, and Earth, as well as other cosmic bodies like Earth’s moon, were formed. The heat probe and seismometers will be placed on the planet’s surface by Insight’s robotic arm – a feat no other robot on Mars has accomplished. Once the probe and seismometers are placed, Insight’s robotic arm will then drop a shield over the seismometers to protect them from wind and variations in temperature. InSight is expected to begin collecting data within the next few months. VPT is proud to have parts on board InSight during its historic mission. We congratulate NASA and their partners on a successful landing! For more information about InSight’s mission, watch this video.